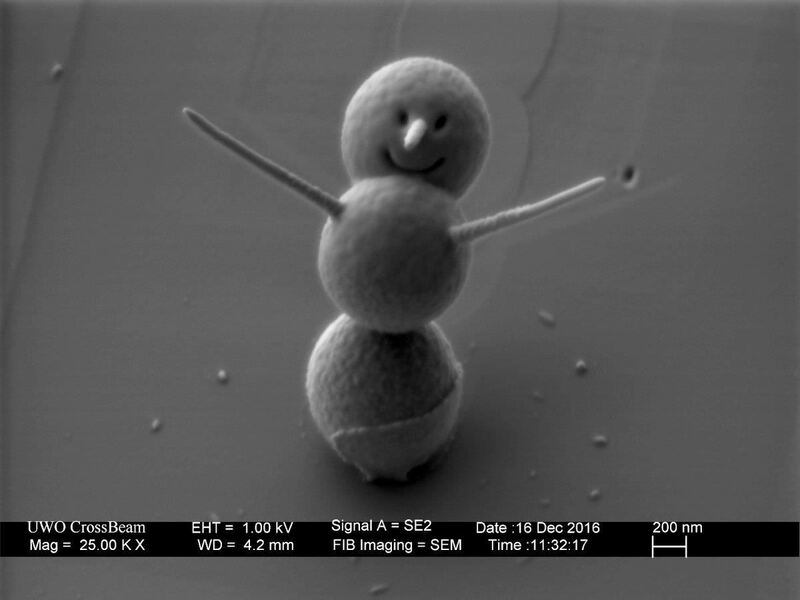 Created by the Western University Nanofabrication Facility in London, Ontario, this tiny snowman stands just under 3 microns tall. One micron is one millionth of a meter, or approximately 0.00004 inches, so yeah, it's super duper small: 0.00012 inches tall to be exact. He may be small but he's also super duper adorable. 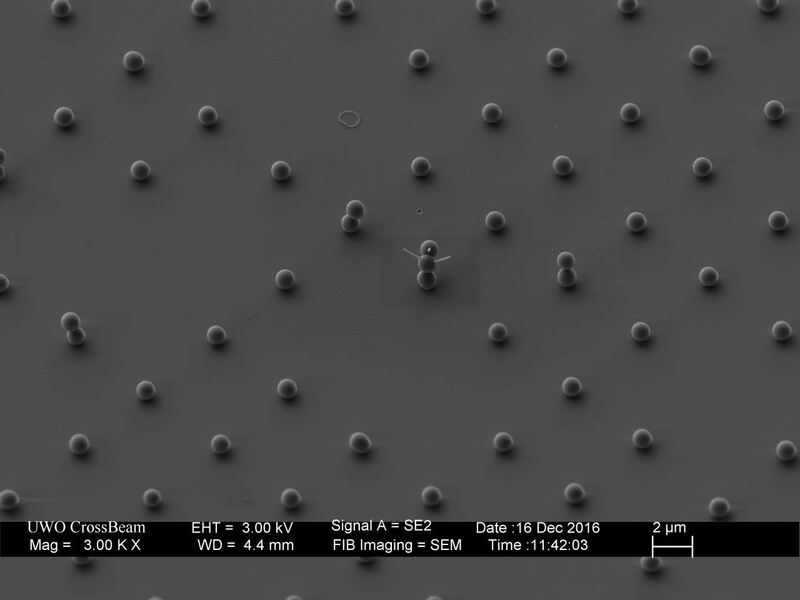 The World's Smallest Snowman stands less than 3 microns tall. The snowman was fabricated from three 0.9 micron silica spheres stacked with the use of electron beam lithography. The eyes and mouth were cut with a focused ion beam while the arms and nose were sculpted with platinum. And while this isn't a true "snowman" per se, they get an A+ for effort in my book. Western University's small snowman took the world record from the National Physical Laboratory in London, the previous record holder for their snowman who came in at about 0.01 millimeters, or 10 micrometers. The new record is less than half the size, which is pretty remarkable given the scale on which these labs are working. You all know how I feel about projects conducted on a miniature level, and this is no exception. Visions of microscopic men of snow will be dancing in my head this holiday weekend and I don't hate it. Happy holidays, everyone!